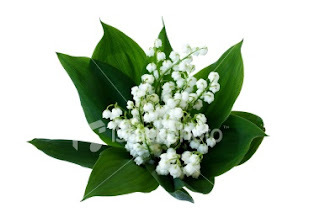 Lily of the Valley, Peonies and really any white flower are at the top of my list right now, but there are so many options! I do know I want to incorporate a lot of green leaves and foliage if possible, which coincidentally is a symbol of "wedded love." how sweet. Dahlia's are in-season during October and are the the "traditional autumn flower." But I think they're a tad to colorful. Baby's Breath, Bachelor's Buttons, Carnations, Gardenias, Gladiolus', Lily of the Valley, Orchids, Roses and Stephanotis. I love the white flowers and contrast of the dark green leaves. It will look so beautiful. The tissue paper flowers are a great idea, although the other flowers are a totally different color shade - one is pastel, one is fall colors. But either way, extra color never hurts!! I'd probably choose tissue paper that coincided with the wedding colors, but thanks for pointing out! 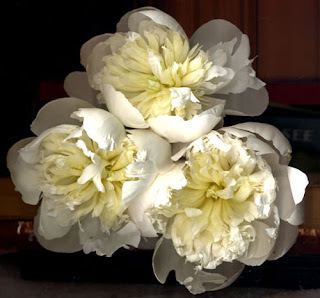 tissue paper flowers - does this mean we're all coming up early to make the flowers???? i love this site - thanks!!! !